November is the pet diabetes month. Diabetes is rapidly spreading in pets. It is a serious syndrome in pets that can shorten the lifespan, lead to various other diseases and reduce the overall quality of their life. Detecting these symptoms early can help treat diabetes in the right manner. Here are the signs that you need to take notice of to know if your dog is indeed suffering from diabetes. One of the first indication of diabetes in a pet is increased frequency of urination. If your pet is urinating more often than usual and often breaking his toilet- training patterns, chances are he has acquired diabetes. Pets are creatures of habits, and once you train them they don’t usually falter. So if your dog or cat is suddenly urinating on the carpet, or the couch, check for canine diabetes. Is Your Pet Feeling Excessively Hungry? Are you wondering about the sudden spurt of hunger in your four-pawed friend? Diabetes often speeds up the metabolism process, leading to a greater appetite. If your pet is suddenly hungry all the time and wants to be fed frequently in spite of his regular proportions, check for diabetes. This is one of the first symptoms that crops up. Diabetes should become even more obvious to you, if your dog is not putting on weight, or in fact losing weight in spite of the excessive eating. Close on the heels of increased hunger, diabetes also leads to an increased thirst in your pet. Your pet may want to drink water all the time, and in dogs, you may also see the dog flapping his tongue out more often. As discussed earlier, diabetes often leads to an increased metabolism. As a result of this, you will see your pet losing a lot of weight. On the other hand, you should also keep your radar on if your pet is suddenly gaining a lot of weight. Weight gain and obesity often triggers diabetes. If your pet is already obese, take precautions to ensure early on that it does not acquire diabetes. Feeling sad looking at your pet losing its precious, lustrous hair? You have more to worry about than it just losing its precious looks. Thinning or dull hair could also be an indication of diabetes, especially if it is happening along the back. There are various bodily symptoms that point towards an illness thriving in the body. Our eyes are a big indication. During jaundice, our eyes turn yellow. Similarly, a commonly noticed symptom in diabetes is cataracts or cloudy eyes. When you see masses of white develop in the eyes, it's advisable you take your dog to a veterinarian to check for canine diabetes. Diabetes in the initial stages causes many changes in the body. One of the early symptoms that you will notice a drop in energy of your dog or cat. Diabetes leads to drop in energy and cause aches in the back muscles and legs. You will notice that their back legs are getting weak and in general they are not as active as they were. It will also be accompanied with a lot of lethargy and sleeping. A clear aggravation of heightened diabetes in your pet is vomiting. Many owners attribute frequent vomiting to bad digestion or eating habits. But what it could actually be is diabetes. Such elevated levels of diabetes is usually witnessed in older female pets. This situation is often referred to as Diabetic Ketoacidosis. Dachshunds and Miniature poodles are also prone to this. In Diabetic Ketoacidosis, vomiting and nausea is accompanied with abdominal pain,confusion, excessive thirst, shortness of breath, and frequent urination. Ketoacidosis is basically caused due to the breakdown of fats and proteins in the liver due to insulin deficiency. Large amounts of Ketones in the body is toxic and this imbalance can lead to depression and prolonged periods of inactivity. Don’t be surprised to see your once jumpy and active pet listlessly lying down, disinterested in playing, taking a walk or going for a run. It’s a symptom of diabetes. Take your pet to the vet without delay. Kidney and urinary tract infections are often indicators of Diabetes lurking within. When the sugar composition in the blood becomes high, the chances of bacteria forming and growing multiplies. So urinary tract infections are often indicators of canine diabetes. When it comes to cats, renal insufficiency or kidney failure is one of the foremost signs of diabetes. However, this is becoming increasingly common in dogs too. The sugar that should be retained and regulated in the pet’s bloodstream spills into the urine causing heavy damage to the kidney and often causing kidney failure in pets. The kidneys are overexerted and the filters within the kidney are unable to handle the excessive sugar. Diabetes affects the pet’s body in myriad ways. The sooner it gets detected, the better for your pet. 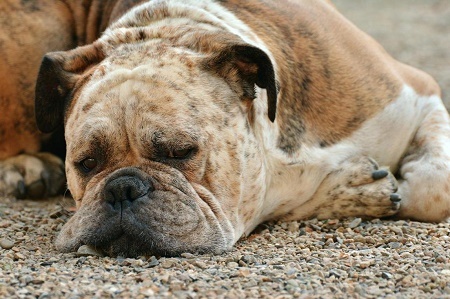 Canine diabetes if left undiagnosed, can cause the body to become completely dysfunctional. So pay attention to your pet and watch out for the above symptoms of Canine Diabetes.